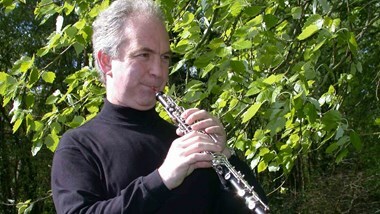 Oboist Andrew Knights and pianist Ian Clarke have been running their popular spring course for many years. Although this autumn course is designed for all oboists, it will concentrate on every aspect of basic oboe playing, and will be designed particularly to help the less confident oboist. Andrew and Ian share an enthusiasm for teaching and encouraging oboists at every stage. Andrew brings his experience as a solo and orchestral oboist and Ian his insights as an experienced and sympathetic examiner. Participants will be given much material to take home for their ongoing development; exercises for warming up, developing a good and strong embouchure, exercises to encourage subtle articulation and rich expression, as well as new and carefully selected repertoire. During the course all participants will be encouraged to try these exercises and pieces as a group, and thereby have as much "playing time" as possible. These materials will be available in advance from Andrew's website. All will be able to rehearse as well in individual slots with Ian. Reeds will be discussed, with the possibility of having adjustments made. Participants will have the option of playing in a "masterclass" on the final morning and all will play in ensembles chosen to reinforce technical skills discussed during the weekend. Players who own a cor anglais will be welcome to bring these and use them in the ensembles, as well as learning cor anglais specific skills.